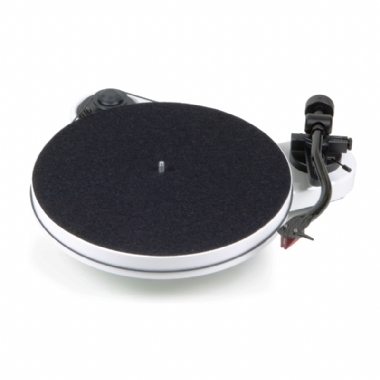 The latest edition to the RPM range of turntables from Project follows on from where the hugely popular Genie 3 left off. Utilising a range of innovative improvements over its predecessor, the Pro-Ject RPM-1 Carbon stands out from the crowd with its stunning design, impeccable sound and affordable price. The new RPM-1 Carbon design has been upgraded to significantly reduce resonance across the turntable. While maintaining the instantly recognisable shape, this turntable boasts improvements in the tonearm, bearing, and motor. Available in Red, White or Black high gloss finishes, the RPM-1 Carbon is a turntable package that offers truly phenomenal value for money.